Horn Harbor Frontage 2.0 acre Horn Harbor frontage building lot. Chesapeake Bay New waterfront community on Stutts Creek with only 5 lots- near Mathews Yacht Club, road installed, wide views, deep protected water, partially cleared homesites, 3 bedroom septic letters. Minutes from town by car and minutes to Chesapeake Bay by boat. Buyers be sure to check water depth to be sure adequate to accomadate your boat. Beautiful East River 2.80 acre building parcel with nice pier, 3 bedroom septic installed & 278' of water frontage Also a 2 story 16 x 16 storage shed on property, cleared and ready to build on. All you need are your plans and your ready to go! This parcel is only minutes from town for all your shopping, schools, restaurant needs. Call today to preview this beautiful waterfront. 2.80 Acre waterfront lot. Perk test and Survey available. Private, wooded, park-like 3.46 acres on scenic Sloop Creek quick to Mobjack Bay. Protected harbor, high lot with cleared homesite and 3 bedroom septic already in place. On private road with other showcase homes. Thriving oyster bed at dock. Great for small power boats, pontoon boats and kayaks. Bring your house plans and live here full time or just a summer get-away home. Crab, boat, fish or just sit on the dock by the bay and watch the tide roll away. Waterfront Nice 2.61 acre building lot that offers nice views of Sloop Creek, East River, and possible Mobjack Bay views. Perk certification letter in hand for a 3 bedroom septic system. May be possibly coverted to Clear Stream septic at this time. This is lot #3-call for copy of plat. Also a $10k credit to buyer towards septic installation at this price. 2 Separate parcels 3.86 Acres and 2.53 Acres. Old Trailer on property has a septic system on file from 1978 for a 3 BR system. Selling "as is", no value in trailer. Purchaser should inquire regarding use of septic system and well. 1 Acre building lot in Cobbs Creek - with garage, septic and well. Trailer currently on the property which buyer will remove prior to closing. No trailer will be allowed back on the property. Buyer to do own inspections on well and septic. Lot being sold "AS IS". This will be a beautiful building site and only minutes to either Mathews Courthouse or Gloucester County line. Must have appointment to preview parcel. Very nice building parcel. 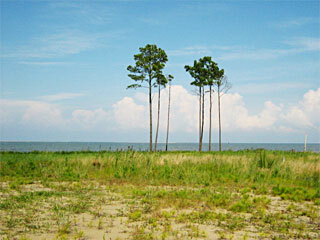 Affordable 1.18 Acre building lot on amazing Gwynn's Island. Live the Island Life. State Boat Ramp nearby and small public beach. Walk to Post office, church, or the waterfront. Soil work pending for 3 Bedroom Septic. Large building parcel consisting of 3.20 Acres. Beautiful paved drive awaiting your new home. Mathews County has made the top small towns to visit, retire or own a second home in this beautiful town. Soil Study complete for a 3-5 Bedroom Home. Call for your private showing today! Make an offer today, seller ready to move on. Located in South Gloucester just minutes from the Coleman Bridge. The soil study is in hand for a 3 Bedroom Septic system and perk Certification Letter conveys at closing. Close to the Beach. Close to Restaurants and Shopping. Build your DREAM HOME here! Seller says it's negotiable. Make an offer. 2.78 acre lot with a 3-5 bedroom soil feasibility study done. Lot has a beautiful paved drive. Marina and boat ramp nearby. Mathews County has made the top 10 small towns to visit, so why not live in this beautiful waterfront town. May be subdividable to build two homes here. Or One home and guest house. 3 Bedroom Perk Site and possible 2nd 3 BR perk site. Quiet Area. Some cleared, some wooded. This parcel may be subdividable to build two homes. One 3 bedroom perk site and guest home or possible 2nd home perk site. Quiet area, some cleared, some wooded. Call to show. Beautiful, ready to build, 2.65 acres within minutes of town and public boat landing on Put In Creek. .74 Acres Hallieford area, has not been checked for septic, buyer to check. Our Virginia land, Virginia waterfront land, real estate acreage, and building lots listed above are located throughout in the Virginia Middle Peninsula and Northern Neck along the Chesapeake Bay, Mobjack Bay, Rappahannock, Piankatank, East, North, Ware, Severn, James and York Rivers. These counties offer home builders an ideal location to construct the waterfront or residential home, farm or estate of their dreams. Many of these sites have beautiful wide waterviews and deep water access, as well as, large amounts of acreage for raising horses, farming, and gated privacy. Located in the city of Mathews, Gloucester, Yorktown, Williamsburg, Deltaville, Urbanna, Tappahannock, Kilmarnock, Reedville and Warsaw in the counties of Mathews, Gloucester, Middlesex, Lancaster, York, King and Queen, Essex, Richmond, Northumberland, Westmoreland, and James City County our waterfront land for sale, and land for sale also offer you tax rates that are among the lowest. If you see a property you're interested in just click on the property photo or the more information link and let us know. We will contact you. Thank you for your interest, and be sure to check back because our listing is updated frequently.